A great weave begins with great hair, and ends with a great closure. A closure acts as the finishing touch to a desired look, blending your brand new hair together in seamless cohesion. Closures are incredibly important, and can make or break your new ‘do. There’s nothing more disappointing than realizing that you’ve invested your hard-earned money into a piece that is not well made, sheds or has added chemicals to make it appear real. It’s awful to find out you’ve been lied to once you wash or heat it. If high quality, realistic closures are what you’re looking for, then you need Indo Hair. 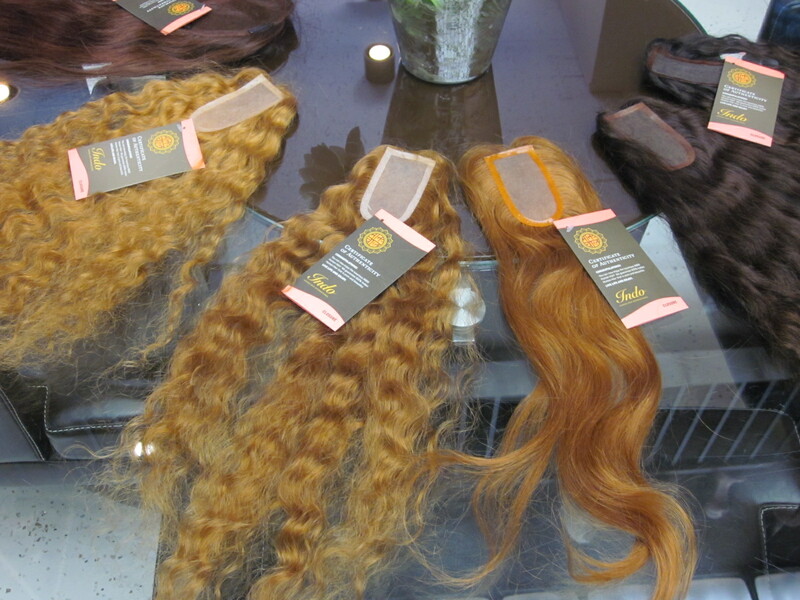 All pieces are made from 100 percent, pure Indian human hair and nothing else. Owners Lucky and Vince have a simple philosophy when it comes to every hair product they sell: be honest. Rest assured, what you see is what you get here, and it is well worth the price. Beyond that, Indo carries closures in an almost overwhelming variety of textures and colors. Just ask to be shown some options, and you’ll be treated to piles and piles of the most realistic closures you’ve ever seen in your life. Trust! Nothing here has that synthetic look to it. Your days of spending money on crummy closures are forever over once you start shopping at Indo.